I'm a very thankful girl as my dad has always shown his affection with confection. If it's about friendship, chocolate or fashion, he taught me to choose quality over quantity. Dad's been bringing me the most divine little boxes of handmade chocolate from Deliso Confections, a neighborhood shop in Bay Ridge, Brooklyn. Anthony Deliso, a former stockbroker, hedged his bets on chocolate after his job disappeared during the financial crisis. He paid his dues at Jacques Torres on Hudson Street for $10 an hour to learn the trade from the best before entering culinary school to continue to perfect his craft. Gotta love a man with a plan! 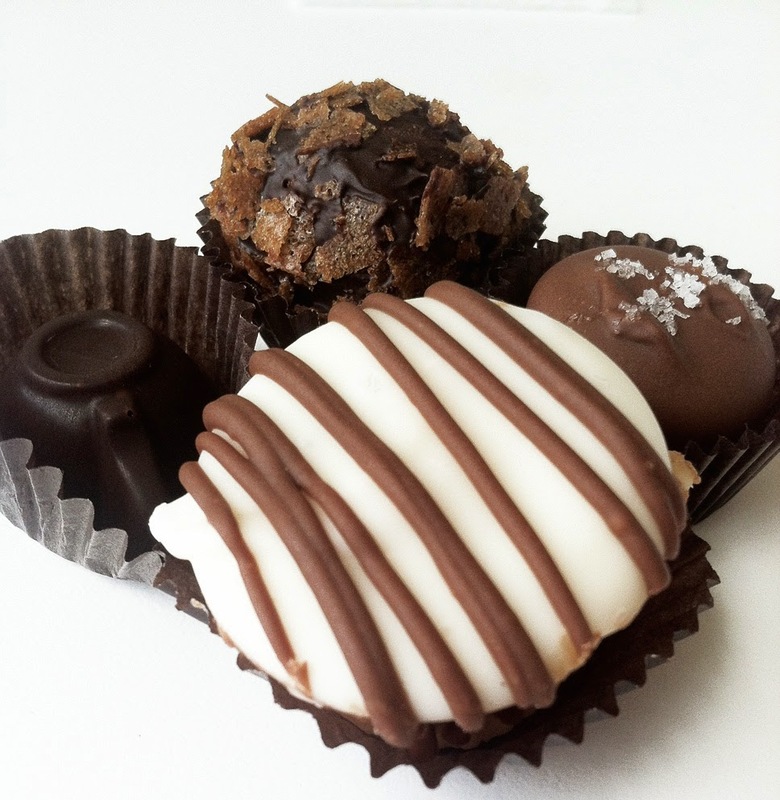 His story is as rich as his truffles.The most recent box contained gooey Grand Marnier truffles with a delicate layer of crunch, Milk Sea Salt Caramel, which is a longtime favorite of mine, Espresso Cup, and Peanut Butter Cup. All arrived with hand written descriptions from Mr. Deliso. His Peanut Butter Cup is filled with homemade nut butter that is just so perfectly crunchy, salty and sweet. Deliso's nut butter truly stands out enrobed in subtle white chocolate for a change. This stuff is seriously yummy, so much so that all this time I'd swore the shop was named Delizioso! Turns out I've been wrong and apparently way too busy enjoying the chocolate and totally not paying attention to the box.